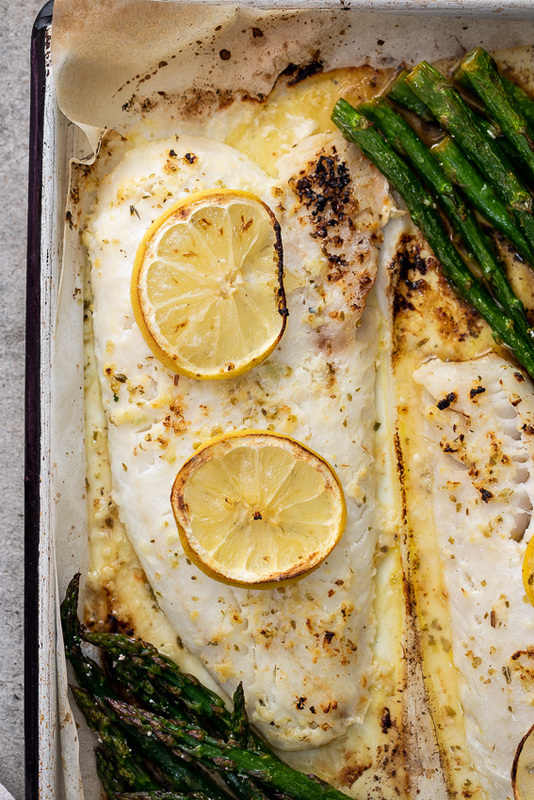 Lemon butter baked fish is the perfect, easy sheet pan dinner recipe. 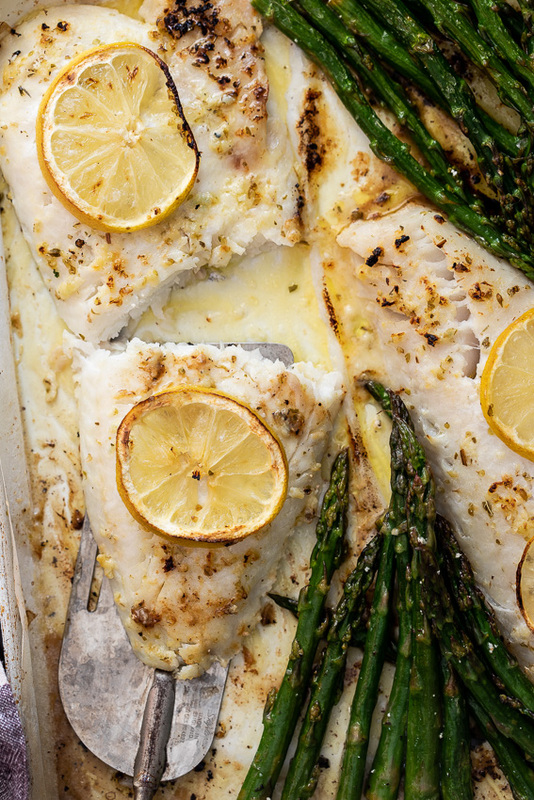 Baked with asparagus and a delicious lemon butter sauce. 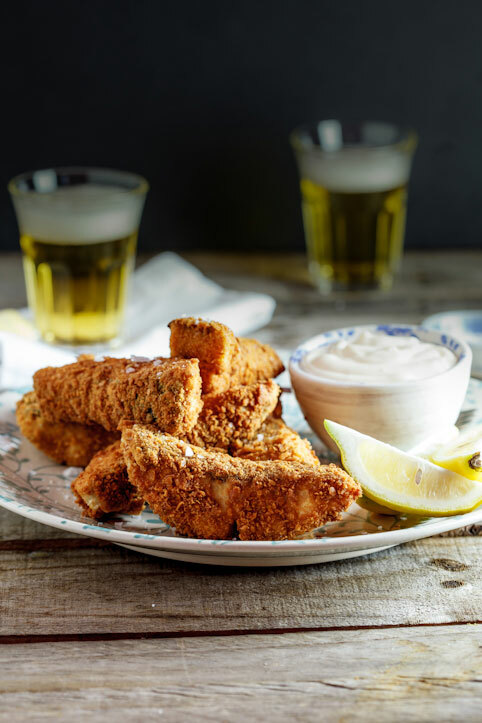 This easy baked fish recipe has become a firm favorite in our family. 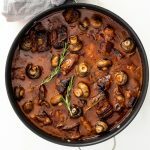 It’s delicious, healthy and perfect for nights when you need dinner on the table in under 30 minutes. Sheet pan dinners are a trusted staple in most busy households because you can make a full, nutritious meal for your family with minimal dishes to deal with and very little effort. 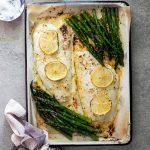 Baking the fish with the lemon butter sauce and asparagus means you can add one more side dish (if you wish) or keep it as is for a light, gluten-free and low carb dinner. Add butter, garlic and lemon juice to a saucepan and bring to a simmer. Cook for 2-3 minutes until the sauce is fragrant then set aside. Line a sheet pan with parchment/baking paper. Add boned fish fillets and asparagus (green beans, sugar snap peas or broccoli can be substituted). Pour the lemon butter sauce over the fish and asparagus and season with salt and pepper. Bake in a pre-heated oven until the fish and asparagus are cooked through. What kind of fish can be baked? How long should you cook fish in the oven? In a 200ºC/400ºF pre-heated oven, fish fillets should take no longer than 10-12 minutes to cook. Cooking time will depend on size and thickness of fillets. Fish is cooked when it can easily flake apart and the flesh is opaque. Pre-heat the oven to 200ºC/400ºF and line a sheet pan with parchment/baking paper. Combine the butter, lemon, garlic and herbs in a saucepan and bring to a simmer. Cook for 2-3 minutes until fragrant then remove from the heat and set aside to cool slightly. 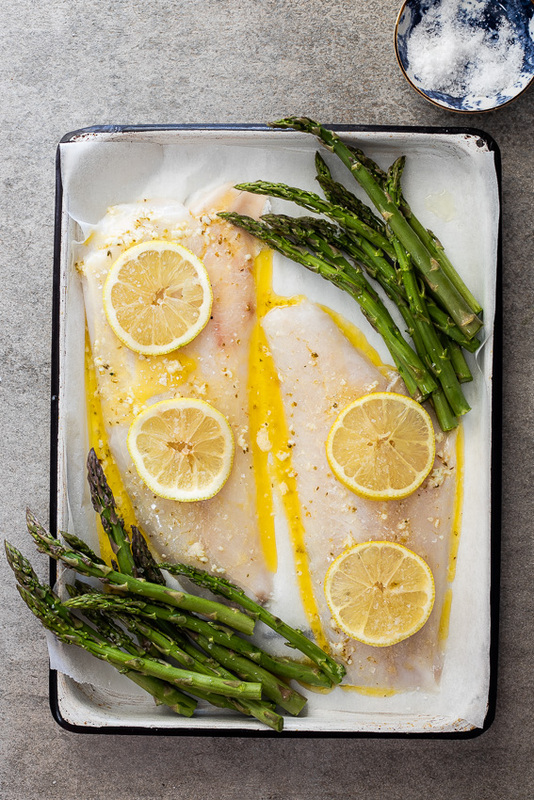 Place the fish and asparagus onto the lined sheet pan then season with salt and pepper. Pour the lemon butter sauce over the fish and asparagus and top the fish with lemon slices (optional). Place in the oven and bake for 10-12 minutes or until the fish and asparagus are cooked. Fish is cooked when it flakes easily and the flesh is opaque, white throughout. This is my kind of sheet pan meal! 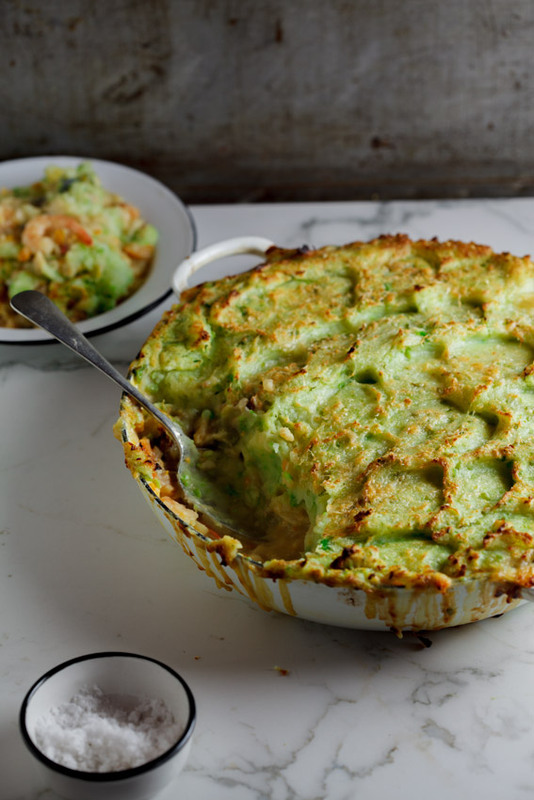 So easy to make and perfect for a busy weeknight dinner! Thanks Lindsay! So good for busy days. Such a perfect idea for weeknights! Meal prepped this ahead for the week for my lunches, stole a bite now and wow! The fish is so flaky and tasty. Didn’t have asparagus so I used a combination of green beans, brussel sprouts and cauliflower. Can’t wait for my lunch tomorrow!!!! Such a clever idea! And love all the different vegetables! Made this recipe for dinner with rice and broccoli instead of asparagus and we all loved it. Even my son who hates fish ate all of his. Thanks for a great recipe. Tom and I have been working really hard at healthying up our diets lately Alida. 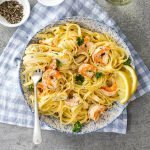 This is a great recipe to add to out list! This is the perfect recipe for healthy dinners Mary Ann. Hope you love it!